Canadian payroll mistakes aren’t just messy and embarrassing. They can have a major impact on all aspects of your business, from your employees’ ability to work to potential fines that can financially compromise your organization. There are also harsh penalties for violating these rules, and organizations such as the Canada Revenue Agency (CRA) work diligently to track down potential offenders. Sadly, many companies still fail to understand the intricacies of the regulations and fees they must honour. Abiding by the proper regulations can help ensure your business continues to use all of the resources at its disposal effectively. With that in mind, here are the five most common Canadian payroll mistakes. Businesses still believe plenty of misconceptions about payroll providers. While outsourcing may not work for every business, it is cheaper and more effective than you may have thought. Hiring a professional employer organization (PEO) to manage your payroll can cost less than hiring other professionals to do the same work. It will also allow you to devote your resources to other areas of your business that may require more attention. Putting your payroll in the hands of a PEO also means that more people will be working to your benefit, potentially eliminating mistakes that a single individual may have made. They will also keep your payroll information organized, decreasing the likelihood of other mistakes. When hiring an outside payroll processor, it’s important to watch out for needless fees. Many processors will add surcharges when they log hours and issue cheques in addition to the fee paid up front. When searching for a payroll professional, try to find an individual or organization that only charges a flat rate. This will not only save you money, but it will allow you to better plan and allocate your resources. Failing to properly classify an employee can be a costly mistake. Whether intentional or not, many companies fail to define their staff as either full-time workers or independent contractors. The CRA defines a “self-employed individual” as someone whose job features no supervision and does not require the individual to accept work from one employer or limit their work for other companies. Employees, meanwhile, generally require frequent oversight and have their salary, work objectives and outcomes determined by their employer. If the relationship between the worker and payer is unclear, the CRA can rule on the worker’s status. Rulings can be requested through the CRA’s website or through a tax services office. As the Canadian Payroll Association reports, companies frequently make mistakes when paying taxes. For example, if a company covers its employees’ personal expenses, it must pay taxes on that income. The same applies to bonuses, vacation pay, and many other situations where an employee earns money outside their base salary. Businesses may also face penalties of up to 15 per cent if they don’t remit their deductions by the prescribed date. Failing to live up to these tax rules could net your business hefty fines. 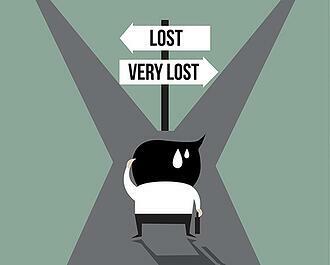 Breaking CRA regulations is largely avoidable, yet it is a common mistake for many businesses. It can be difficult to get a general yet nuanced understanding of these rules, and accounting software may not account for these guidelines, especially if your company is based in the United States or other countries. Regulations also change frequently, so if your knowledge is outdated, you may face stiff penalties. Hiring a PEO or another payroll professional can help you stay on top of the CRA’s rules and prevent unnecessary expenditures. If your business has newly expanded into Canada or is considering hiring staff or independent contractors across the border, there are many things to be aware of when becoming familiar with Canadian HR practices. Taking care to learn about payroll standards and regulations can help you avoid making common Canadian payroll mistakes that lead to inefficient use of time and resources. Here are some basic yet effective ways that your company can avoid Canadian payroll mistakes and make a smooth transition into a comprehensive and efficient payroll process. Keeping your staff informed of all payroll policies and procedures reduces your margin for error, saving your company time and money. If staff are informed of how the payroll process works and have access to the information regarding policies and procedures, the likelihood of time-reporting errors and future misunderstandings is greatly reduced. Information on policies regarding vacation time, claiming business expenses, and even how to submit timesheets should be readily accessible to all employees. If your employees are aware of how your payroll works, time and resource-wasting queries and mistakes can be avoided. Keeping up with changing regulations is key to successfully completing the payroll process and avoiding common Canadian payroll mistakes. It is well worth the time it takes to research new or changing regulations and make any necessary adjustments to your own payroll process to avoid any fines or legal ramifications. If you are expanding your business into Canada, the CPA (Canadian Payroll Association) has resources that can help you stay current on payroll legislation and avoid any potentially damaging errors. Likewise, the CRA (Canada Revenue Agency) posts any changes in regulation that your company should be aware of when employing Canadian workers. Classifying employees is an extremely important aspect of HR, as it influences the type and amount of taxes required to be paid by your company. The CRA takes matters of classification extremely seriously; heavy fines and other ramifications can be the result of a misclassification, regardless of whether or not it is accidental. To avoid this, there are numerous resources that can be consulted to assist you in classifying your employees correctly as permanent staff or as independent contractors. 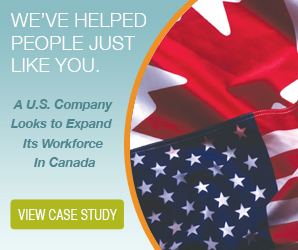 While maintaining a consistent and accurate organizational system for your data is always important, it becomes particularly useful when hiring employees from Canada. There are many differences in laws concerning employees and taxes between the US and Canada with which your company needs to be in compliance whether you are operating in the US or Canada. When expanding your business into Canada, a new set of paperwork comes into play that must be correctly filled out by both you and your employees. Upon receiving an influx of data with new employees, care must be taken to ensure the accuracy of the information and an efficient and consistent organizational system should be implemented. Hiring a professional employer organization can take care of your payroll organization, leaving your company to focus on your business. Knowing when to outsource your company’s payroll can be the best thing to do for your company to avoid making Canadian payroll mistakes. Hiring a professional employer organization (PEO) gives you a cost-effective and efficient way to increase payroll accuracy and reduce complications. While hiring a PEO to take over your payroll operations costs a monthly fee, it reduces errors and gives you peace of mind that your payroll process is being managed in an efficient way. A PEO will already be familiar with regulations, have an established and organized process, and can cut down on costs associated with payroll staffing and mistakes long-term. The moment you hire one employee, you must deal with payroll processing and administration. And when you have many employees on staff, these functions get increasingly time consuming and complex to handle. 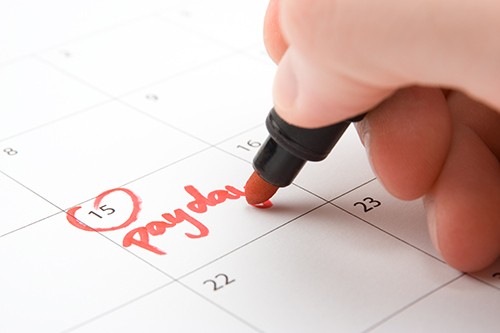 For business owners, payroll is often seen as a minefield. There are many payroll regulations to follow, tax laws to comply with, maximums and exceptions to consider, deadlines to remember, and numbers to calculate. With so much to keep track of and comply with, it’s no wonder payroll mistakes occur. Though you’re bound to make a few payroll mistakes along the way, the more you make, the more it’ll cost you—in fines, penalties, diminished trust, and a bad reputation. 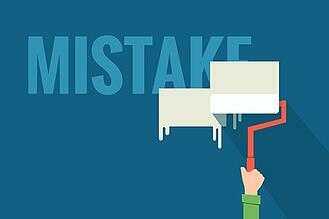 Here are five payroll mistakes that you can’t afford to make. Many companies misclassify their employees as independent contractors. 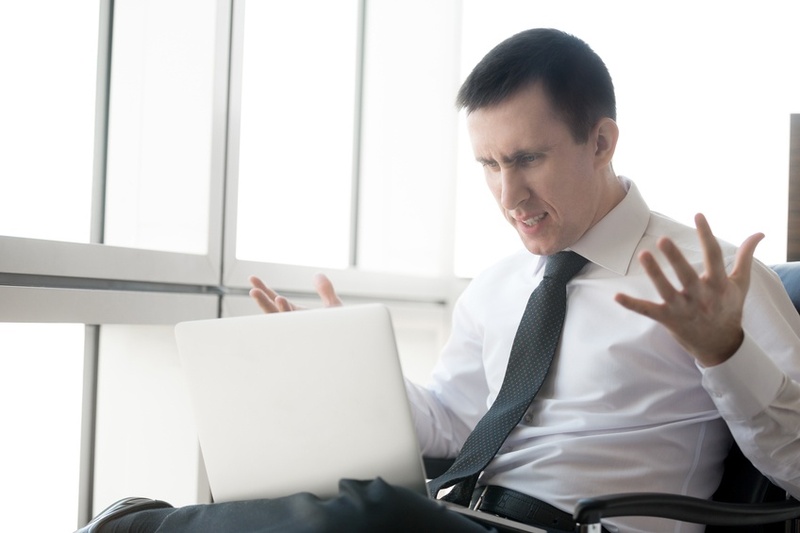 Some do so in order to avoid making deductions and paying benefits, while others simply don’t understand the difference between an employee and a contractor and misclassify accidentally. Though this is a widespread payroll mistake, it’s unacceptable. The CRA has been cracking down on businesses that misclassify employees. If you’re caught erroneously classifying employees as contractors, you’ll face a bunch of heavy fines, interest fees, and penalties, on top of having to pay the taxes owing. Make sure you know the difference so you can avoid making this costly error. The CRA is stringent about its deadlines. No excuses will be accepted. You must deposit your remittances and file your paperwork by their due dates or you’ll automatically be subject to late deposit penalties and interest fees. These penalties can range from 2 to 15%, depending on how late you are. Even though you have your hands full with other business activities, you can’t forget to keep track of deadlines. Part of your onboarding process for new employees must include having them fill out the proper federal and provincial tax forms—you’ll need them to figure out how much tax to deduct. If you haven’t gathered the right data, you’re going to have trouble processing payroll. Poor record keeping can also lead to a ton of payroll mistakes. If you’re not keeping track of hours worked, overtime, optional deductions, or vacation and sick days properly, you’re going to miscalculate pay cheques. You might overpay or underpay your employees, which can be costly to your business. Many items other than your employees’ standard salaries are taxable, and as such, need to be included in your calculations. Do you know what they are? Gifts, awards, bonuses, commission, some tips, prizes, the use of a personal car—all of these items must be taxed at the normal rate. Payroll regulations and tax laws change on the regular. It’s your responsibility as an employer to keep track of all of these changes and implement them if they apply to your business. It’s not the government’s responsibility to tell you about changes to the laws—so you must continuously check to see if new updates, acts, or standards have gone into effect, or you’ll risk fines and penalties. These are just five of many payroll mistakes your company could be making. Errors come in a variety of forms and you might not even know you’re making them. To avoid the costs associated with making errors, consider outsourcing your payroll processing and administration to a back office service provider. With a team of payroll experts on staff, a third-party service provider can ensure that you always pay your employees accurately and on time and that you’re always in compliance with current laws. Payroll mistakes can come in many forms. Employee misclassification, incorrect tax, CPP, and EI deductions, typos, time-tracking mistakes, filling out the wrong forms, missed deadlines—all of these payroll mistakes will cost you one way or another. And they’re easy to make, even for the most experienced and meticulous business owners. The Canada Revenue Agency is strict and dealing with this government body is difficult even in the best of times. Whether you calculate your staff’s payroll by hand or use payroll software, you always run the risk of errors being made. With ever-changing payroll legislature, stringent deadlines, different tax rates and deductions for your employees, and an ever-increasing number of time sheets to track, it’s easy to make a payroll mistake. The thing is, one payroll mistake is often forgivable, but more than one can cause a whole bunch of headaches for both you and your workers. It can also lead to heavy fines and other penalties from the CRA and decreased trust from your workers. What’s the solution? Find out below. To avoid making so many mistakes, your company should consider taking advantage of the services offered by a back office service provider. Payroll services are a valuable and cost-effective alternative to processing payroll in house. When you outsource the responsibility, you can pay your employees in a simpler manner, you can significantly reduce the stress associated with the task, and you can have the peace of mind knowing that it’s being handled by experts, so you can eliminate the costs and headaches associated with making payroll mistakes. Back office service providers offer many valuable services. Using the best, most up-to-date payroll software on the market, your provider will make sure that the right tax forms are set up and filled out and that your employees’ pay cheques are always accurate. They’ll deduct the appropriate amount of federal and provincial tax, Canada Pension Plan premiums, and Employment Insurance contributions. They’ll take into account all necessary employee expenses, bonuses, commission, tips, and optional deductions, such as child support. They’ll pay your employees and send out pay stubs. 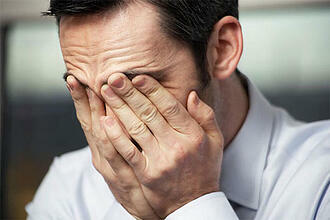 If your company is making many payroll mistakes, you should seriously consider outsourcing your payroll processing. Whether you have a small staff or hundreds of employees, outsourcing can be the best option when you have employees working varying amounts of hours every week, if you have a significant turnover rate, if you have to process taxes for multiple provinces, or if you simply don’t have the time to process payroll on your own. Payroll has a big impact on your business. Processing it by hand or even with the use of software leaves you highly susceptible to payroll mistakes. When you outsource the responsibility, you’ll have access to payroll expertise. Your back office service provider will have payroll experts on staff that can ensure accuracy and continued compliance. They know the ins and outs of Canadian payroll, including federal and provincial payroll-related tax laws and regulatory mandates, and nothing is too complex for them to deal with. They’ll set you up on the right path, keep track of legislative changes, and perform all of the calculations for you. They have the time required to do it right—so you don’t have to multi-task payroll responsibilities on top of your workload. They’re reliable so you never have to worry about missing deadlines. They have the knowledge and experience needed to deal with any issue, so you don’t have to deal with the consequences of making any more payroll mistakes. That’s what they’ve been trained to do after all. When you outsource to a back office service provider, you can take comfort in knowing that experts are handling all aspects of your payroll processing.